A soap-free, daily-use face wash, Himalaya Herbals Clear Complexion Whitening Face Wash cleanses and clarifies your skin of impurities, giving you a clear, radiant and even complexion. Saffron, well-known for its complexion-enhancing properties, helps clear skin of spots and blemishes while Licorice and White Dammer help regulate melanin synthesis, restoring your skin’s natural fairness. Pomegranate nourishes, while Cucumber soothes your skin. Use morning and evening for visibly brighter, clearer and glowing skin. 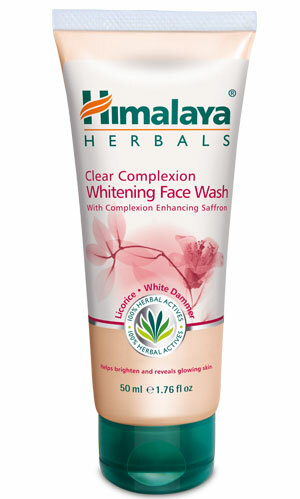 Moisten face and massage Himalaya Herbals Clear Complexion Whitening Face Wash all over, avoiding the delicate eye area. Wash off and pat dry. For best results, follow up with Himalaya Herbals Clear Complexion Whitening Day Cream.